WIFI CONNECTIONS ARE pretty much ubiquitous by now. All modern devices now connect to them and there are more free WiFi spots popping up in different places. 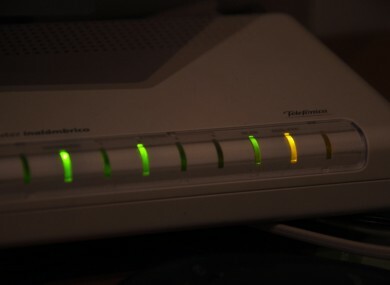 For a while, WiFi connections were mainly 2.4GHz but there are many new routers that now have 5GHz connections and more devices that support them. As you may have guessed, GHz (hertz) refers to frequencies which determine the strength and range of a signal. While 5GHz has been around for just as long as 2.4GHz, as far back as 1999, it was more expensive and didn’t come into popularity until recent years. So all devices catered for 2.4GHz instead. Pretty much any wireless device like cordless phones, baby monitors, and Bluetooth devices rely on 2.4GHz connections. It’s a shorter, denser frequency which is better for range and when there are walls blocking you and the router. There are different standards of 2.4GHz, which we won’t get into, but since it was so popular, it meant that it became very crowded since all devices were operating on it. That meant it’s harder to get a connection. If you have numerous devices using the same frequency, it can impact the overall quality and result in dropped connections from time to time. The new Chromecast device (right) works on both 2.4GHz and 5GHz, while the original only works on 2.4GHz. When you change to 5GHz, there isn’t as much interference, and it’s a stronger signal, meaning a more reliable connection and faster data rates. It also means that the new batch of smart devices that are coming out will all be able to maintain a connection without problems. The drawback to 5GHz is its range is shorter in comparison to 2.4GHz so coverage doesn’t spread as far. Also, it has more difficulty penetrating obstacles like walls, and windows so the connection may drop if you walk outside. So in short, 2.4GHz has better range, but 5GHz has less interference so if your devices support it, connect to 5GHz. Otherwise 2.4GHz works just as well. Email “Is there any real difference between 2.4GHz and 5GHz WiFi?”. Feedback on “Is there any real difference between 2.4GHz and 5GHz WiFi?”.